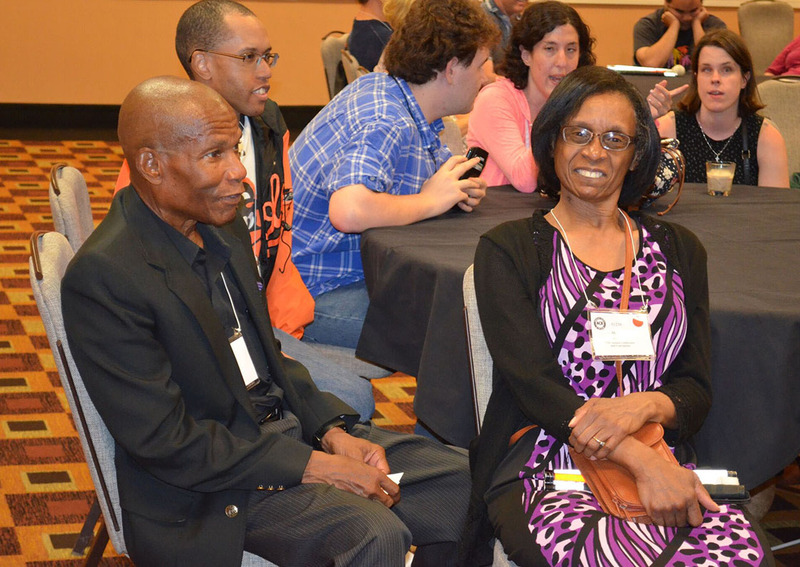 The American Council of the Blind holds its annual Conference and Convention in a different US city each summer. Attendees can learn about what is happening within the blindness community, develop strategies for advocating on behalf of people who are blind or visually impaired, explore new blindness and low vision technologies, products and services, meet with product vendors, experience what the convention surroundings have to offer on fun and informative tours, and most importantly, connect with other blind and visually impaired friends and colleagues from across North America and throughout the world. Conference plenary sessions feature a wide variety of speakers, including national and local ACB leaders, officials from the city hosting the conference, international guests, a Talking Book narrator, and a range of speakers involved with the development of new and existing blindness-related products and services. Each session begins with live entertainment performed by ACB members, continues with information from conference sponsors and then moves into a mix of organizational business and informative presentations. The conference concludes with national elections and action on proposed constitution and bylaws amendments and consideration of resolutions expressing the organization’s positions on a range of issues of importance to people who are blind or visually impaired. 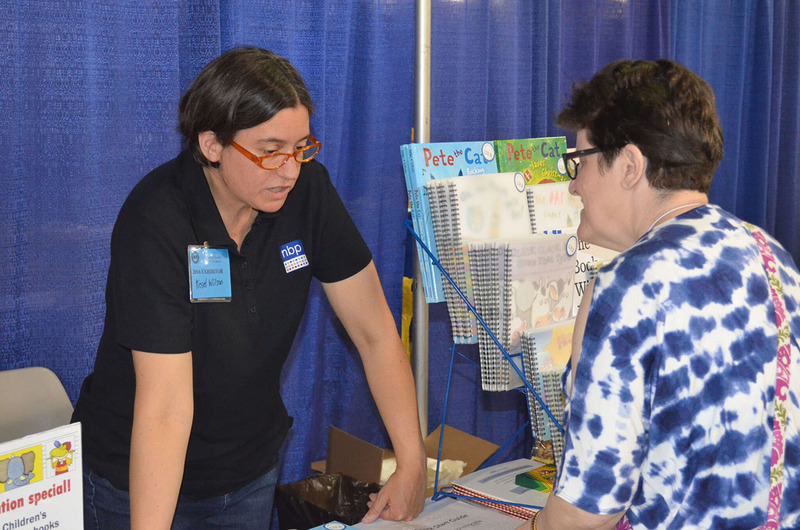 In addition to plenary sessions, the ACB Conference and Convention includes a vast array of meetings and workshops on virtually every aspect of living life with blindness or low vision. Topics of recent breakout sessions have included techniques of self defense, gardening, the use of adaptive technology, the pros and cons of different types of retail transportation, overviews of the Americans with Disabilities Act, personal finance, and everything in between. In addition to these interest-related meetings and workshops, a number of ACB committees, special interest and state affiliates host meetings in conjunction with the ACB Conference and Convention. Detailed program for all of these meetings, workshops and committee and affiliate programs are included within the ACB Conference and Convention Program. The ACB Exhibits Hall boasts one of the nation’s largest showcases of products, technologies and services designed especially for people who are blind or visually impaired. Commercial companies, non-profit organizations and individuals offer everything from talking computers to braille embossers and refreshable braille notetakers and displays, to large print and audio reading devices, to talking mobile phones and mobile phone accessories, to adapted kitchen appliances, toys and games, products for guide dogs, canes, ACB logo items, and much, much more. There is a product or service for just about anyone, regardless of interest or budget, and most of the products and technologies on display are available for a hands-on demonstration and/or for immediate purchase. Tours vary by conference location but typically include tours of the host city, local cultural landmarks, interesting local museums, and other local attractions. Recent examples include a tour of Hoover Dam in 2005, the Johnson Space Flight Center in 2007, the Grand Canyon in 2010, Lake Tahoe in 2017 and many more. Each year, there is typically a tour of a local artisanal candy factory, a tour of a local baseball park (which often includes dinner and a game), and tours of local blindness-related agencies and service providers. Each year’s ACB Conference and Convention culminates with the Annual Banquet. This semi-formal extravaganza features live entertainment, awards, a keynote speaker and the awarding of large cash prizes drawn from participants in each year’s ACB Braille Forum Raffle. Keynote speakers have included nationally renowned disability community leaders, thought leaders, elected officials, comedians and international figures who have made a lasting contribution to the quality of life for people who are blind or visually impaired within their own countries. The Annual Banquet is a great way to wrap up a busy convention week with friends and colleagues before heading back home to continue the real work of improving the lives of people who are blind or visually impaired. Thanks to the Kids Explorers Club, the ACB Conference and Convention is a great destination for the entire family. The Kids Explorers Club operates during the Opening General Session, between 7 AM and 5 PM on all days of the Convention and during the Annual banquet. 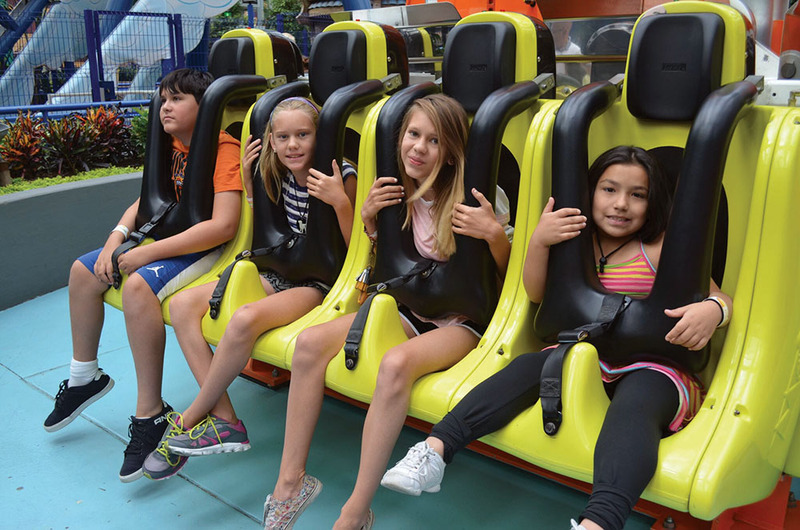 The Kids Explorers Club offers a safe and fun program for kids between the ages of 6 and 13. Breakfast, lunch and snacks are provided each day, and activities include crafts, games, swimming in the hotel pool, and tours to age-appropriate local parks, museums and other attractions. Kids Explorers Club is staffed by vetted child care professionals who are often certified Special Education teachers with direct experience working with children who are blind or visually impaired. All children, whether or not they have visual impairments, are welcome, and all activities are adapted to be accessible for all children who participate.